There were a number of changes to the uniform over the years as cycling wear became less formal. The December 1967 Minutes makes reference to the “boaters worn by some members” and that “it was hoped that all members would consider wearing the club uniform at future functions”. In 1973 Mr. Knockemorf submitted the following proposition. “That as from and including the 1973 Garden Party any member of the Pickwick Bicycle Club attending the Club’s luncheons without the club uniform of a straw boater with Club band and tie shall contribute the sum of 50 pence to a charity to be named by the President in office”. - That the Club uniform be dark blue Norfolk jacket and knee breeches, with Club buttons, blue stockings, and black polo cap, with gold embroidered initials. Dark blue diagonal cloth single-breasted jacket, vest, and knee breeches, dark blue stockings, and black polo cap with gold embroidered initials. At a meeting on 19th December, it was decided to adopt the use of ivory club buttons, with the letters “P.B.C” on same in Old English – these buttons are supposed still to be used by Club riders. Also in 1876. 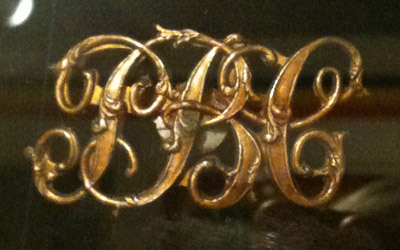 At this time the now well-known Club badge – the plain monogram, “P.B.C.” in gold on a cloth back – was instituted, as on 27th March the committee ordered that two dozen of the badges should be purchased. March 1876 is the first reference to a club badge, when the Committee ordered that two dozen badges with the monogram PBC in gold on a cloth back should be purchased. 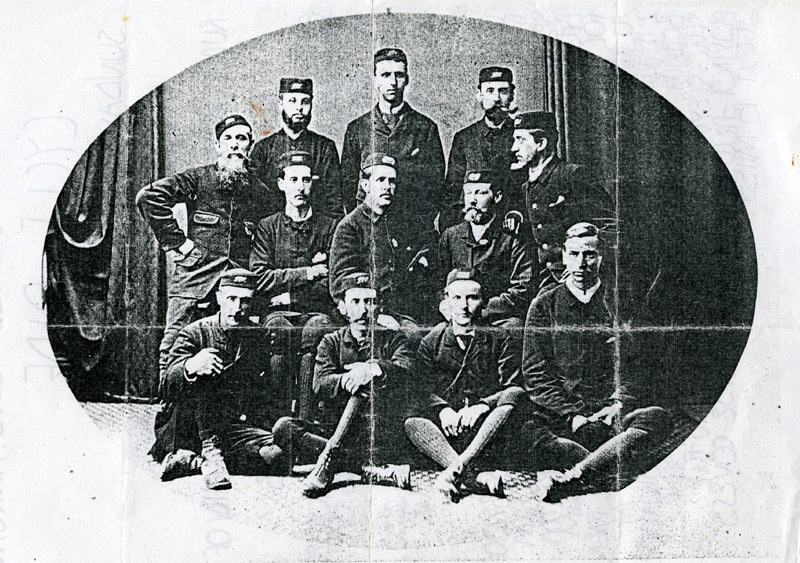 At the general meeting on the 3rd February, 1875, a compulsory “uniform” rule was made, to the effect that each member, when on Club outings, should wear a black cap with amber pipings. 1870 - At the first meeting of the Club on the 22nd June 1870, it was resolved "that the club uniform be simply a white straw hat with a black and amber ribbon"
An original metal cap badge is on display at The National Cycle Collection at Llandrindod Wells. There is an original cloth badge in the Harold Scott collection. 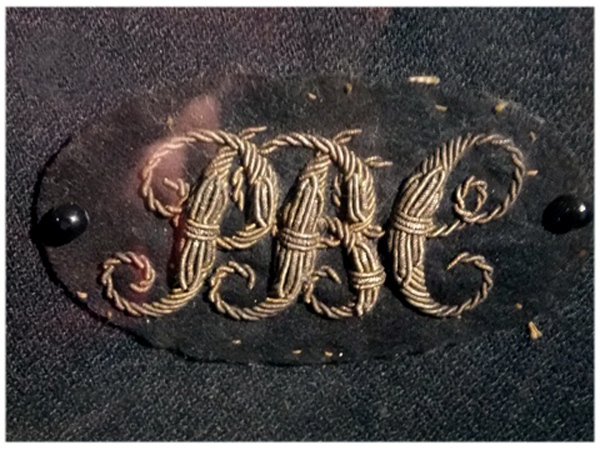 It has gold embroidered letters "PBC" and is an original badge to wear on a pill -box hat in 1870 (Frame No. 5, No 484). It was presented to the collection by Serjeant Snubbin (John Walter Raybould). This collection also includes 6 bone buttons from an original Pickwick Bicycle Club uniform (Frame No 10, No 8055); an enamel badge, and a pierced brass "PBC" badge with Ordinary Bicycle belonging to Freddie Devereaux (Frame No. 19, No 1606). A straw boater with a gold & black band and, optionally, an embroidered cap badge that is a facsimile of the original design. A gold & black diagonally striped tie. A personalised name badge with the individual’s soubriquet (Pickwick character) beneath Samuel Pickwick standing on a stool. Club officials wear their chain of office on gold & black collar ribbon. 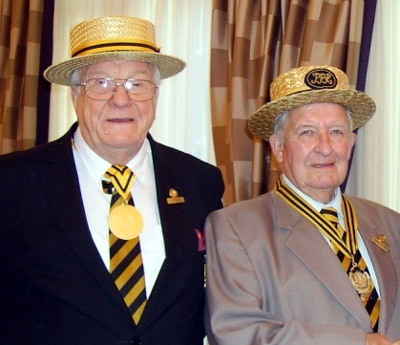 Past Presidents wear a medal attached to a gold & black ribbon. 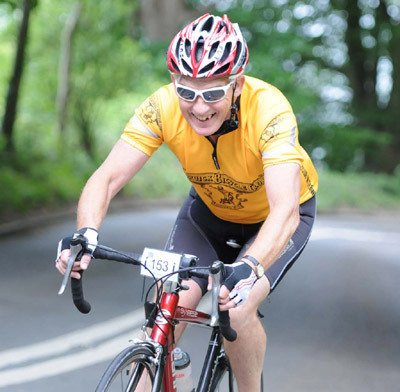 The Club cycle jersey is gold with black motif (front and back) of Samuel Pickwick standing on a stool, and the legend “The oldest bicycle club in the world” down each side.